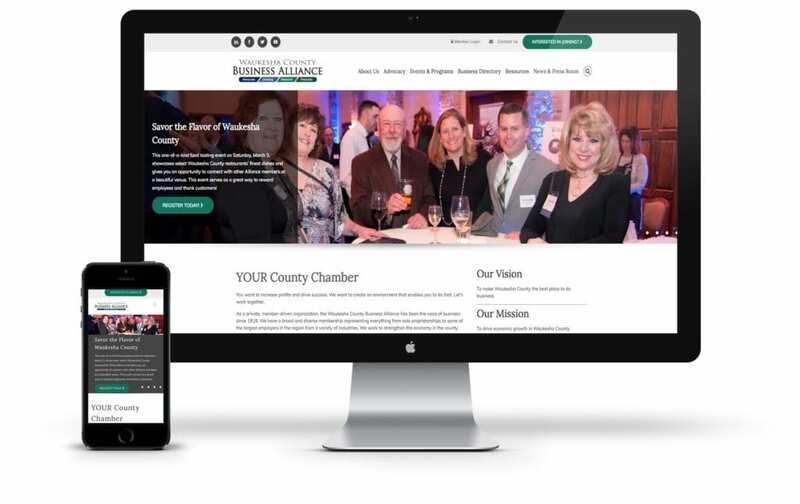 As a private, member-driven organization, the Waukesha County Business Alliance has been the voice of business since 1918.   They have a broad and diverse membership representing everything from sole proprietorships to some of the largest employers in the region from a variety of industries. 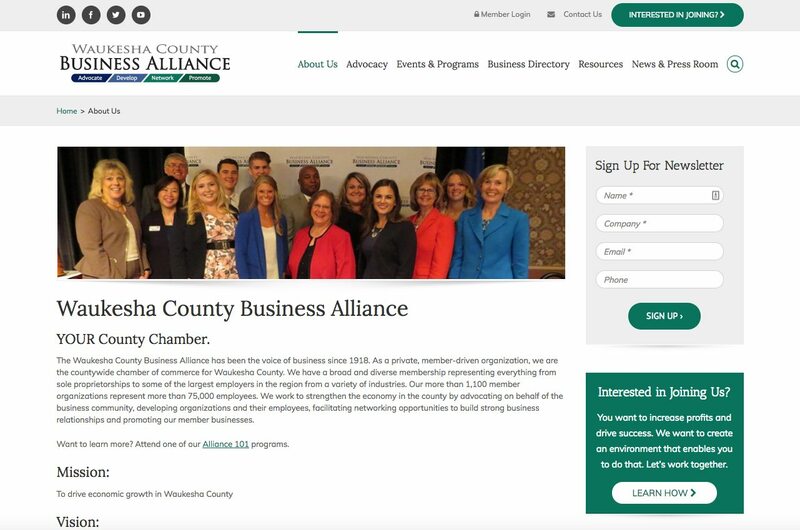 The Waukesha County Business Alliance is a private, member-driven organization and are the countywide chamber of commerce for Waukesha County.  They have a broad and diverse membership representing everything from sole proprietorships to some of the largest employers in the region from a variety of industries. 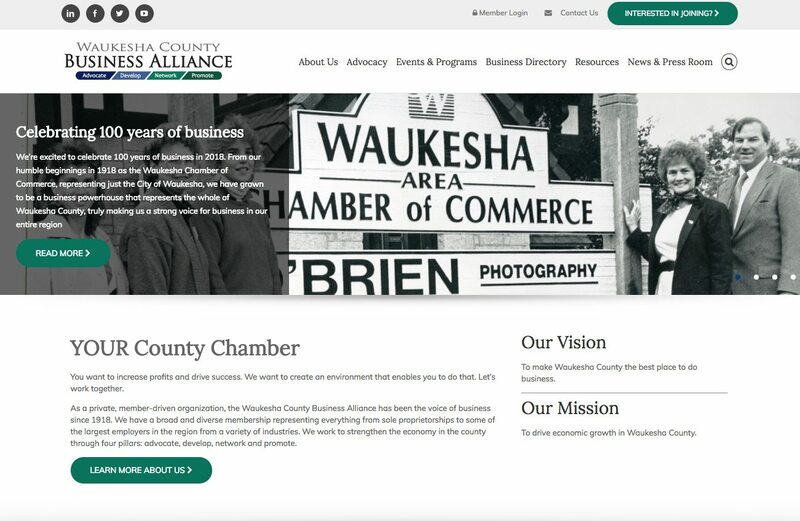 The Waukesha County Business Alliance came to Top Floor, looking to improve the design, user experience and results of their website, thus helping drive conversions and visibility. 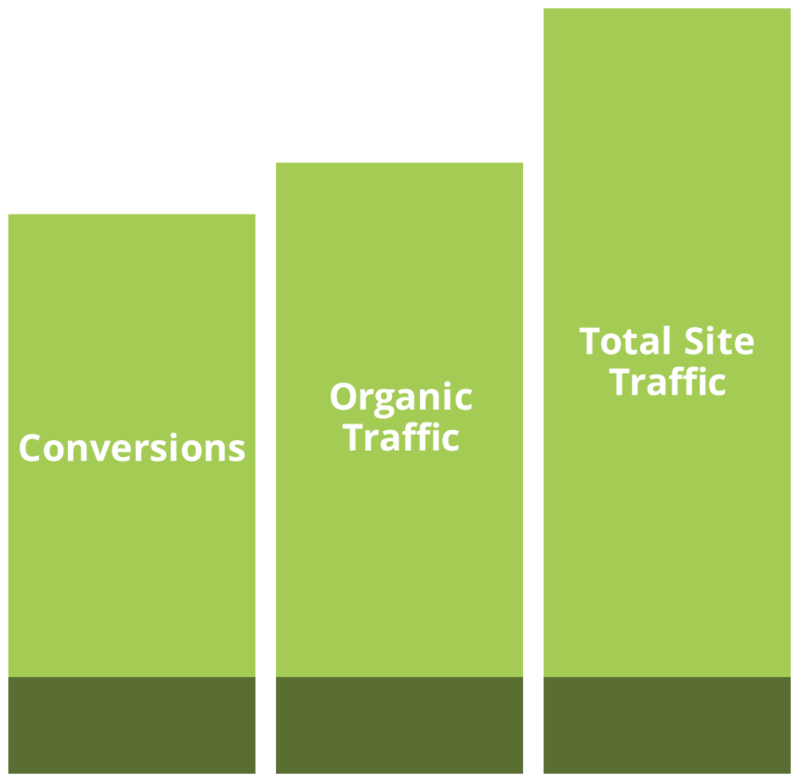 Top Floor stepped in to reimagine the website using a more clean, direct approach. 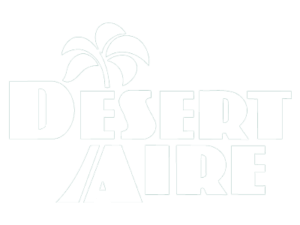 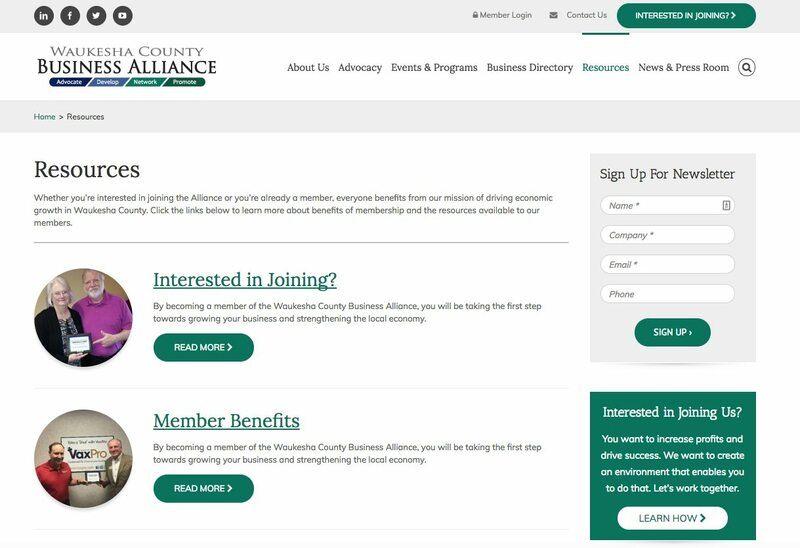 The website would be reorganized to make it more intuitive to users to find events, programs and member information. 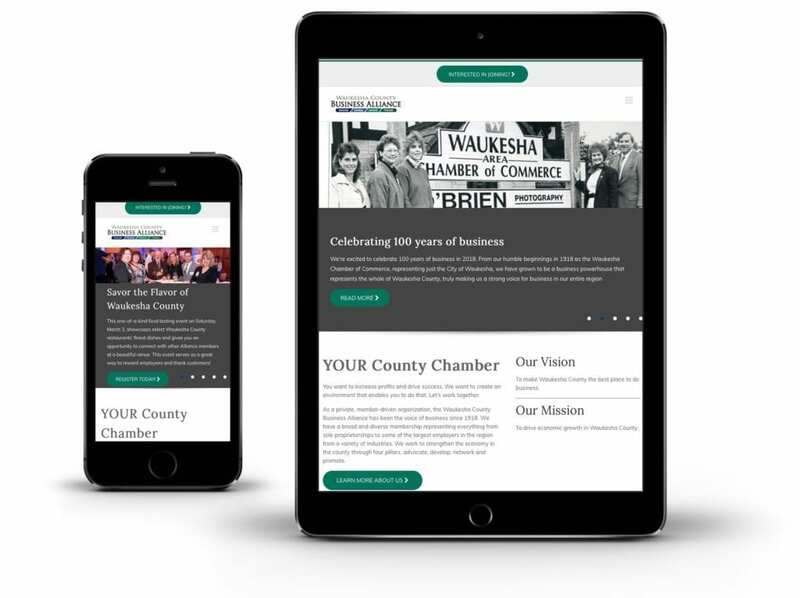 The new Waukesha County Business Alliance website is a rich source of information that is easy to access. 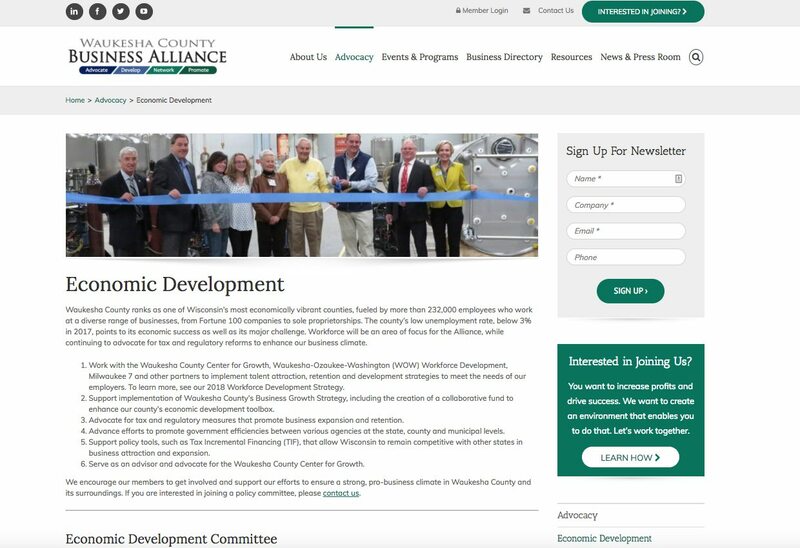 Community members can easily navigate the different sections including the vast calendar of events, membership information and other community news.  The deployment was smooth and there was no downtime to users, resulting in a positive outcome for the project.